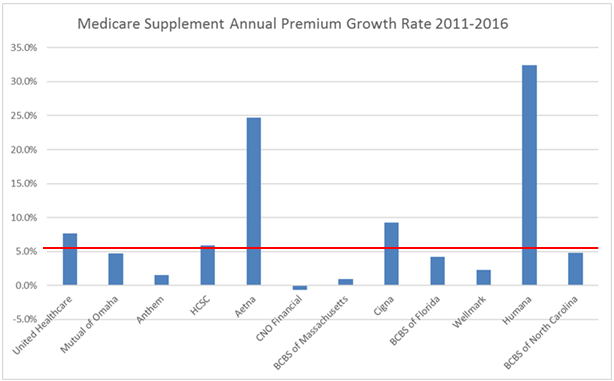 Continued Growth in Medicare Supplement and Medicare Advantage Plans. Whether you sell Medicare Supplements or Medicare Advantage Plans (or both), now is a great time to be in the senior market. With the continued surge of baby boomers becoming eligible for Medicare, both product lines are growing in in record numbers year over year. The articles below summarize recent enrollment numbers as well as provide some insight on what to expect going forward. CSG Actuarial has compiled information from the NAIC and other sources and is reporting that earned premiums in the Medicare Supplement market in 2016 totaled $29.0 billion, a 6.6% increase over 2015. The total Medicare Supplement lives covered in 2016 increased to $13.1 million, up 5.8% from 2015. For that time period, market leaders United Healthcare, HCSC, Aetna, Cigna, and Humana grew faster than the overall market. Market leaders Mutual of Omaha, Anthem, CNO Financial, BCBS of Massachusetts, BCBS of Florida, Wellmark, and BCBS of North Carolina grew at a slower rate than the overall market. To compare the Medicare Supplement plans available, check out this Medigap comparison chart. As of February 1, 2017, total Medicare Advantage membership stood at 19,593,341, with a net gain of 1,389,665 members year-over-year, about 10% over 2016 enrollment. About 34% of the 58 million people eligible for Medicare are enrolled in an MA plan. About 68% of beneficiaries are enrolled in one of the 10 largest MA plans. Of the enrollees, about 2.3 million (nearly 12%) are enrolled in specialty plans. CSG Actuarial was happy to once again sponsor and host a booth at this year’s Medicare Supplement Insurance Summit. The 9th National Forum was held in Dallas, TX from April 11-13, and was attended by over 500 agents, carriers, marketing organizations, actuarial and administrative firms, and consultants from across the Medigap industry. Their team presented in three separate sessions, discussing the status of the Medigap market, and trends we anticipate will impact the industry. Details for each session are listed below, as well as a copy of the presentation for you to download. 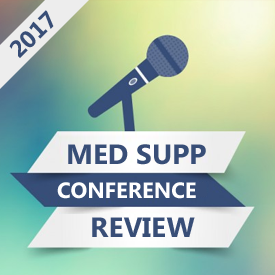 Conference sessions were also recorded and will be available on medicaresupp.org soon. Medicare Supplement Market Trends: Where we are today; Where are things headed? Jared Strock, Consulting Actuary at CSG Actuarial, presented on the Free Agent Day about the current state of the Medigap market, including trends in new sales premium, enrollment, and rate increases. CSG Actuarial’s Bryan Neary, Principal and Consulting Actuary, and Brien Welch, Sales Director, provided an in-depth look at the data trends and details gleaned from over 8 million quotes ran on our quoting engines. They presented valuable insight into what, how, and when insurance agents present Medicare Supplement solutions to their clients. Doug Feekin, Principal and Consulting Actuary from CSG Actuarial, and Andy Baillargeon, Chief Pricing Officer and Vice President of Life/Health Division from Gen Re, provide a comprehensive look at the important rate trends impacting Medicare Supplement. 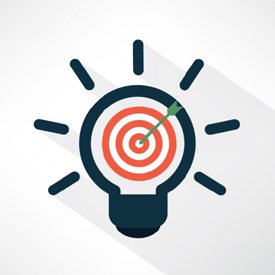 The best reps know what they're facing each time they call and have developed repeatable strategies for dispelling resistance. Here are three tactics they use. Most sellers open their calls with clichés, immediately turning off their prospects. Could I have a few minutes of your time? I'll only take a minute of your time. 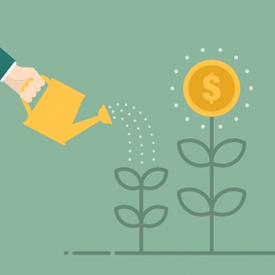 Are you looking for ways to become more profitable? I have a product that can save you money. I’m in the business of making our customers more successful. I know we can save you time and money. 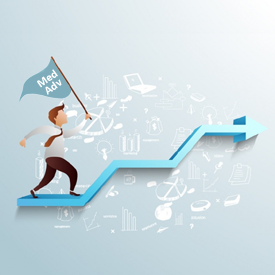 Cutting the salesy statements will instantly increase your success rate because you are not creating resistance. This is especially true for the ubiquitous, “How are you?" Every buyer on the planet has heard that exact phrase at the beginning of a sales call they didn't want to take. After my clients stop using this question on calls, they typically see a 25% jump in success. When you call, your buyers are usually busy doing other work -- which means you're 99.9% likely to be interrupting them. Instead of ignoring this fact, use it to your advantage. Try: "Mary? This is Colleen Francis. I know you weren’t expecting my call; have I caught you at a bad time?" When it comes to receiving a sales call, it's always a bad time, so it’s a refreshing change when the person who's making the call recognizes this upfront. When we use this statement at the beginning of a call, we almost always get with the same answer: A laugh or chuckle, followed by either: "It's always a bad time, but what's up?" or "Sure it's a bad time, why are you calling?" The magic in this answer is that now it is the buyer's choice that you're on the phone with them -- not yours. When a buyer feels like they're being held hostage in a conversation, they tune out and start planning their escape. When it's their choice the two of you are talking, however, they're far more likely to listen to what you have to say and participate. Your buyer is focused on what's in it for them, so give it to them right up front. If you're calling because of a referral, use the reference's name first, as in: "Colleen Francis suggested we talk." If it's a follow-up call, remind them what they wanted you to do: "The last time we spoke, you asked me to call today with pricing information." If this is an outreach call and you don’t have a reference, build a third-party story focused on people like your buyer, such as: "CIOs like yourself have been pleased with the security our product offers from email viruses. They've told me that … Is that important to you?" If you don't know who you should be talking to, try a question, like: "Maybe you can help me?" People usually have a difficult time refusing help when they're asked for it, so make sure you use that word. If you reach the gatekeeper of a client you've had a hard time contacting, try: "Maybe you can help me? I've been trying to reach Ms. Francis for a week now with no luck. Do you know if there's a best time to find her in her office?" Be careful about making broad claims -- buyers who don’t know you will instinctively poke them for holes. "Mary, business owners like you tell me that we've been able to save them money on their printing costs. Depending on your printing requirements, it might be possible that we can do the same for you. Can we discuss your printing requirements now?" The federal government bumped up average pay raises for 2017 Medicare Advantage plans and modified several of the program’s policies in favor of the health insurance industry. Payment rates for insurers that sell Medicare Advantage plans will rise by 0.45% on average for 2018, the CMS said in its final rate notice Monday. That's a slight bump from the 0.25% rate increase proposed in February. The average Medicare Advantage payment rate will increase by 2.95% after taking into account the way health plans code their members' diagnoses, the CMS said. That's up from February's estimate of 2.75%. In 2017, payment rates rose by 0.85% on average. The Medicare Advantage payment rate increased by 3.05% in 2017 after taking into account the way health plans code their members' diagnoses. Medicare Advantage payment rates are based on trends and utilization in fee-for-service Medicare as well as adjustments to beneficiaries' risk scores, among other variables. Under the Medicare Advantage program, the private managed-care version of Medicare, the government pays health plans monthly amounts for every member they cover, and those taxpayer-funded payments are adjusted based on how sick someone is. Members who have more chronic conditions have higher risk scores, and plans that cover them therefore receive higher payments. Risk scores were created to incentivize plans to cover all seniors regardless of their health status, but the program has faced accusations of fraud and manipulation of those risk scores. The CMS is also putting the brakes on plans to increase the use of encounter data, or information about the care an enrollee received from a provider, to determine risk scores for plans. In the proposed notice it had suggested again using the ratio set up in 2017. In that, 75% of Medicare Advantage risk scores are based on traditional fee-for-service data and 25% are based on encounter data. But after stakeholders such as the American Hospital Association argued that encounter data should not be used at all following a January 2017 report from the Government Accountability Office that found such data is often not accurate, the CMS changed course. The agency will now use a risk score blend of 85% of fee-for-service data and 15% of the encounter data in 2018. The insurance industry also won another battle. Last year, the CMS had proposed terminating the bidding process for employers and unions that offer Medicare Advantage plans to their retirees, also known as “employer group waiver plans.” Instead, those plans would have received a lump sum payment based on county-level individual bids, which would have lowered plan revenue. In the 2017 final notice, it instead decided to phase that policy in over two years. Half of employer Advantage plan payments will be based on their own bids, while the other half will be based on county benchmarks. The CMS at the time said it planned to have this change for all such plans in 2018. Trade group America's Health Insurance Plans has said the policy had the potential to disrupt care for the more than 3.6 million beneficiaries enrolled in these plans. In the 2018 proposed notice, the CMS is asking the industry to comment if it should maintain the split it had in place in 2017. Following comment from industry, the CMS finalized that decision. Medicare Advantage plans were projected to receive $198 billion in 2016, accounting for 27% of total Medicare spending, according to a report by the Congressional Budget Office. Since 2004, the number of beneficiaries enrolled in private Medicare plans has more than tripled from 5.3 million to 17.6 million in 2016, according to the Kaiser Family Foundation.